The Savoy’s first famous general manager was the legendary hotelier Cesar Ritz. Ritz arrived at The Savoy in 1890, brimming with ideas, tried and tested in the fashionable Continental hotels where he had learned what appealed the most to the British upper classes spending their summers abroad. One of Ritz’s first edicts was that there should always be music in the public areas. “Music” he said “covers awkward gaps in the conversation”. Musicians were duly employed, and the Savoy was filled with background music, provided mainly by small military-style bands, playing the popular hits of the day. One evening in 1912, the band started playing an especially popular tune, and one daring couple got up to dance in the small gap between tables. 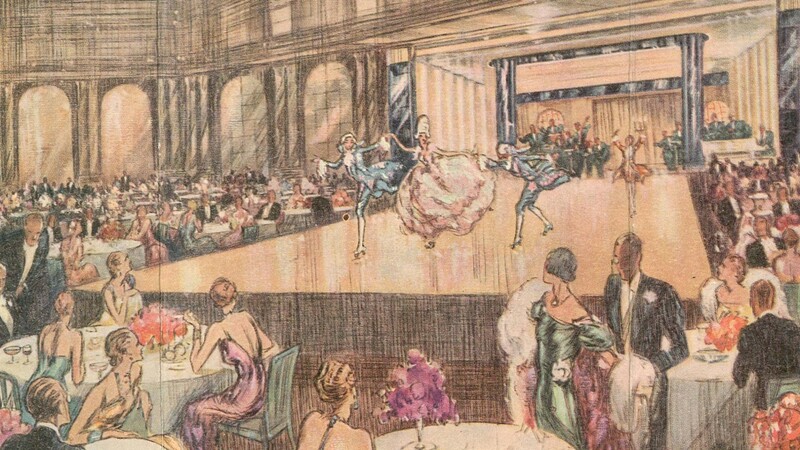 It was quickly clear that the option of dancing alongside dinner was a desirable addition to the evening’s entertainment, and the hotel laid a dance-floor in the centre of the Thames Foyer to accommodate this, just in time for the outbreak of a huge enthusiasm for the tango, in 1913. Along with all of fashionable London, guests at The Savoy tangoed between courses into the First World War, and all through it, in later years as an escape for a few hours from the grim reality across the Channel. Soon after the end of the war, William de Mornys was hired as head of entertainment. He set about hiring new musicians who played the modern music that he knew would appeal to a younger audience. 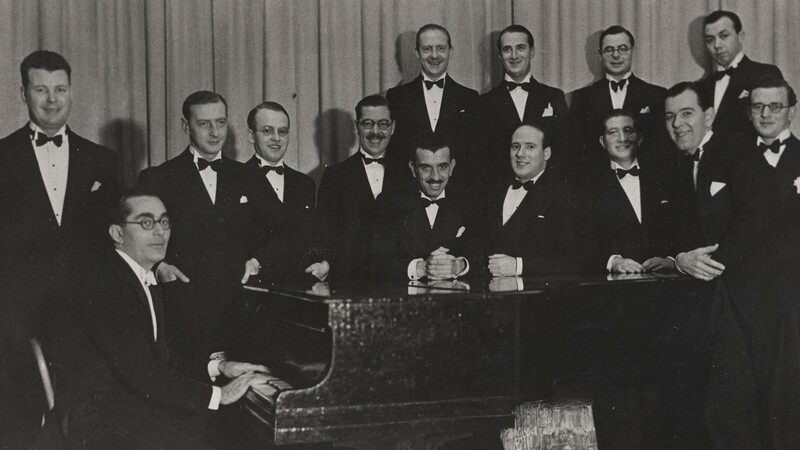 From New York he poached an entire Latin ensemble, quickly rebranded in London as the Savoy Havana Band. 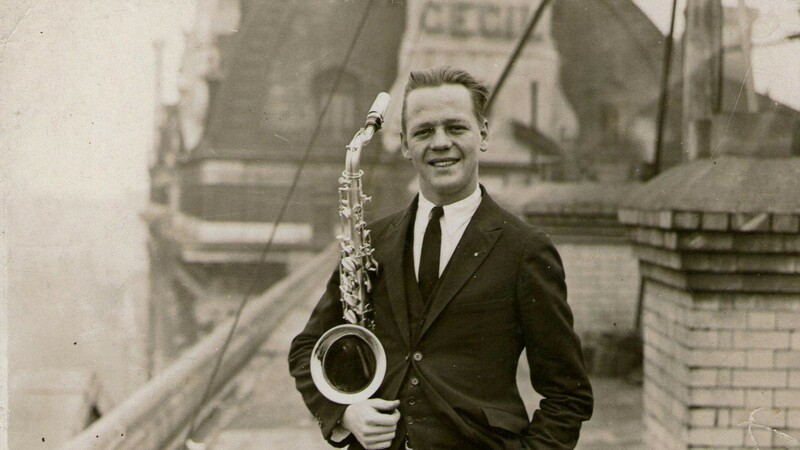 For modern music he looked to both Britain and America, hiring the best musicians, and creating a new dance orchestra, the Savoy Orpheans, led by Debroy Somers. Fortuitously, a new radio broadcaster, the British Broadcasting Company, was set up in 1922, and opened its first recording studios on Savoy Hill, just across the road from The Savoy. The BBC needed content, and luckily there was potential content close by. The Savoy Bands were on the air by October 1923, and soon famous throughout the country, wherever BBC broadcasts reached. Meanwhile the entertainments department expanded and began hiring cabaret acts to fill out the evening programme of entertainments. A young American pianist, Carroll Gibbons arrived at The Savoy in 1924, hoping to join the Savoy Orpheans. He would eventually become the most famous bandleader The Savoy ever had. Gibbons led the revamped Savoy Hotel Orpheans in 1931, until 1950, and then took over as Director of Entertainments until his death in 1954. Famous in his own right thanks to years of broadcasting for the BBC, he had even written his own theme tune “Garden in the Rain” (1928), with lyrics by James Dyrenforth. In 1962 Frank Sinatra, a regular Savoy guest throughout his life, came to London to record an album of ten songs, “Sinatra Sings Great Songs From Great Britain”. Track 7 is “Garden in the Rain”, a tribute to the legendary bandleader at Sinatra’s favourite London hotel. In later years, as younger audiences demanded more modern artistes alongside their dinner and dancing, the headline acts were more likely to be pop stars such as Cilla Black, Sandie Shaw, and the New Seekers, who appeared in Cabaret at the hotel in 1970. The rise of new clubs and discos through the 1970s saw The Savoy’s traditional dinner, dancing and cabaret evening come to an end in 1980. However the tradition for live music in public areas continued then, and still continues now, since awkward gaps in the conversation have hardly diminished with the passage of time!